The fastest and most comfortable way to travel right into Turkana Land is to take a scheduled flight from either Nairobi or Eldoret to Lodwar, the capital in the centre of the County, or Lokichar-Kapese further to the South. There are daily flights to Lodwar, but demand is high and early booking is advisable. 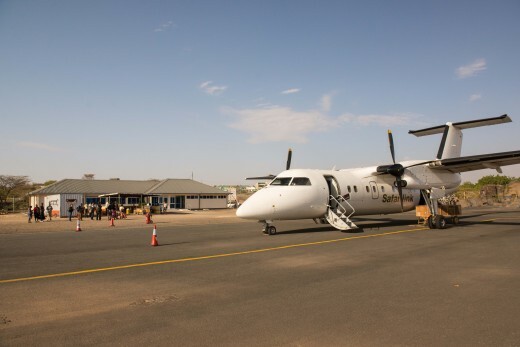 Lokichogio near the border with South Sudan, the third airport with a tarmacked runway and many more small airfields all across the County can be reached by private air charter from Nairobi. In general, secondary roads which are under the responsibility of the County Government are fairly good and you will see ongoing road works in many parts of the County. 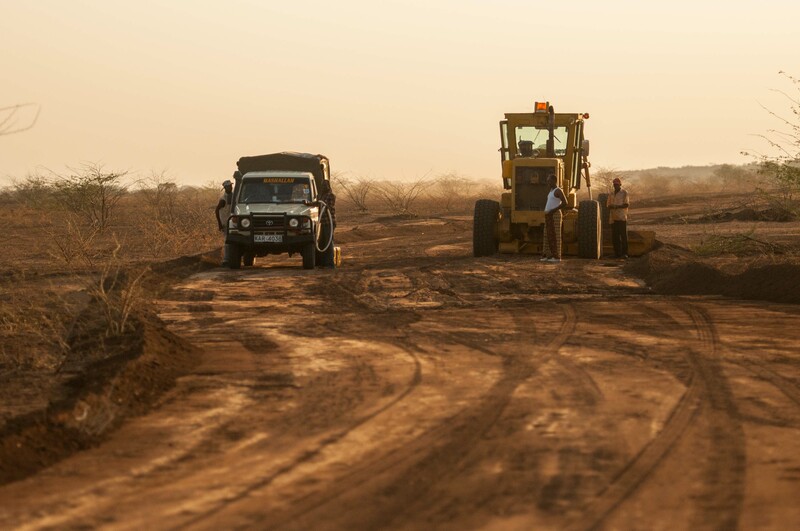 However, Turkana Land is strictly 4WD country and during the rainy seasons you will have to expect issues crossing seasonal river beds or getting stuck in mud pans. Tarmacking of the major route from Marich Pass to Lodwar, Lokichogio and South Sudan by the Central Government is eagerly awaited. In mid-2015 it was announced that funding has been secured to rebuild the complete highway from Eldoret to the South Sudanese borders. Construction works are scheduled to start in 2016. Coming from Southern Kenya, there are two major access roads into Turkana Land. 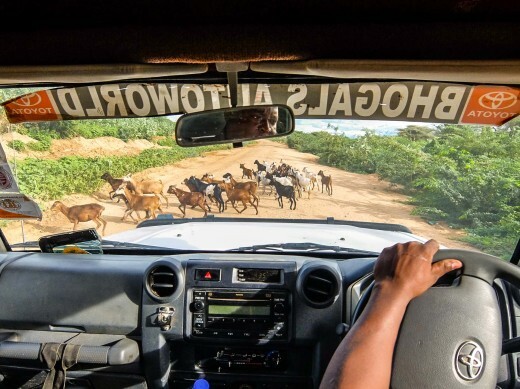 The major supply route leads through Kitale and Marich Pass and on to Lokichar and Lodwar – a beautiful drive. The road up to Marich Pass is tarmacked but not in too good condition. However, the roughest stretch is the gravel road between Marich Pass and Kainuk, from where the ride becomes a bit smoother. The second access route from the south is equally scenic and possibly slightly more comfortable. It leads from Lake Baringo to Nginyang, where the tarmac ends, and enters Turkana Land at Kapedo. The roughest stretch with some dusty and rocky parts and quite a few seasonal rivers lies between Kapedo and Lokori. From there, until meeting the other access route in Lokichar, the road is fairly good gravel. Reconfirm if a guard is advisable and watch out for heavy trucks from the oil companies between Lokori and Lokichar! Tourists going from Turkana Land to Uganda, South Sudan and Ethiopia and vice versa are somewhat rare. Since there are no official border stations with Ethiopia in Todenyang and with Uganda near Lokiriama yet, when leaving or coming into Kenya custom procedures and stamping of your passport will have to be done at Lokichogio International Airport. 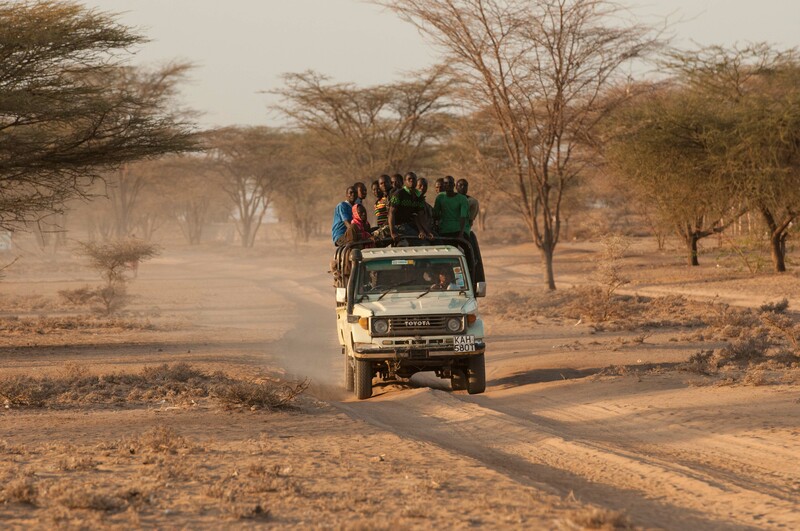 Turkana Land Cruiser & Travel Services: 0728-443 051; apart from hiring out cars, Turkana Land Cruiser & Travel offers an express shuttle by Land Cruiser between Lodwar and Kitale. Turkana is the second biggest County of Kenya, it is a pristine, beautiful and wild land. This makes it highly advisable to always drive with two cars for enhanced security and quick support in case of a break down. Although infrastructure is generally better than on the eastern side of Lake Turkana, distances in between supply stations are vast. 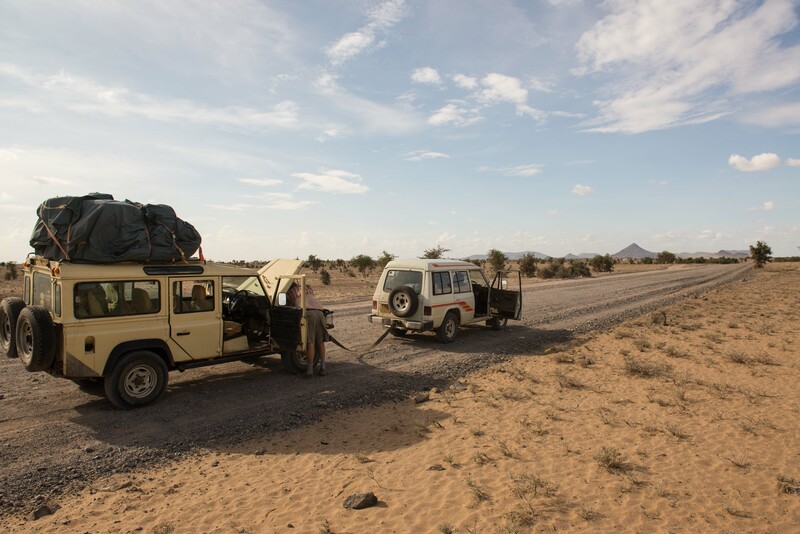 So always make sure you have with you enough petrol and drinking water, two spare tires and tools as well as appropriate equipment to camp in the wild. There are daily bus services and lorries carrying passengers beween Kitale and Lodwar. Matatus serve the roads from the County’s capital to Lokichogio and Kalokol while 4WD pick-up taxis offer transport into villages around Lodwar and beyond. Expect a lack of comfort and bring plenty of patience. Crossing Lake Turkana to or fro Sibiloi National park on the eastern shores is only possible by private boat hire which has to be pre-organised well in advance. Jade Sea Journeys and local fishermen operating from Kalokol, and KWS in Kalokol and Alia Bay own boats with strong engines and the necessary safety gear. Crossing is only possible under good weather conditions. It might be a good idea to bring your own petrol from southern Kenya when taking a boat from the eastern shores of the Lake to the Turkana side. 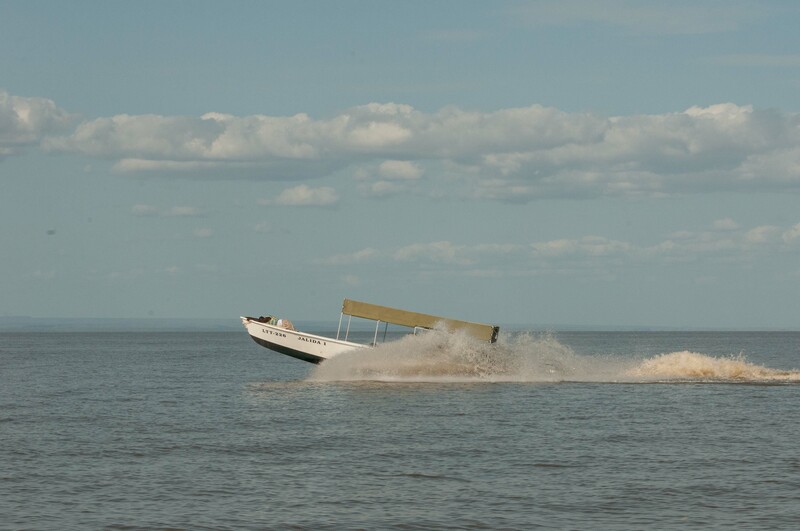 Jade Sea Journeys is the most experienced tour operation for all your boat adventures on Lake Turkana, offering quality services, reliability, safety and comfort.